Where have all the polymaths gone? It is of late that I have admitted to myself that I have many interests. I like writing; singing; reading; public speaking; acting. I enjoy practising languages; getting my head around psychology, reading philosophy; reflecting upon spirituality. Even within these areas, there are so many sub-categories that really engage me. Whether I am good at any of them, I hope time will tell. Inspirational quotes from Francis Bacon, from his works ‘The Advancement of Learning’. They have provided much encouragement to me during some difficult times in London. Sir Francis Bacon, as he is better known, was a polymath. 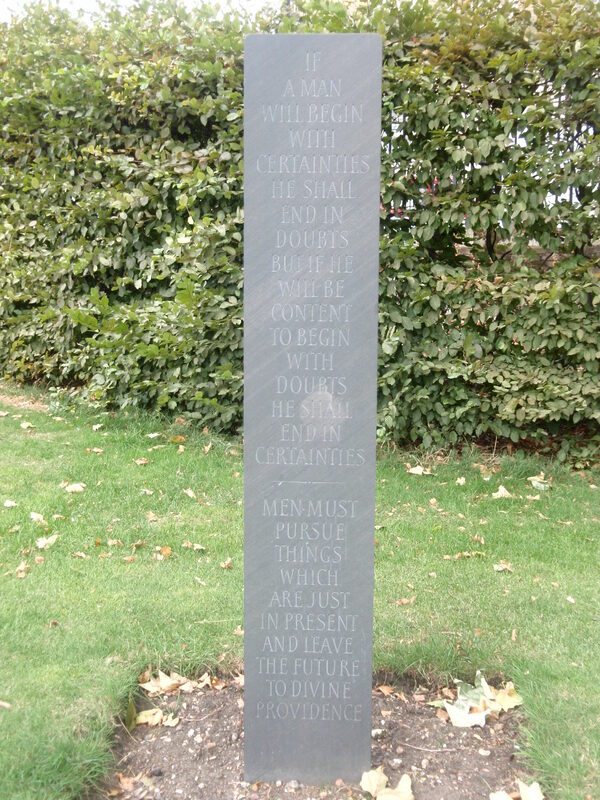 As well as being a philosopher, he was a lawyer (he served as Lord Chancellor and Attorney General), a politician, a scientist, orator and author. He wrote works on science, philosophy and religion. He is reported to be the founder of British empiricism. Empiricism holds that all the knowledge of this world derives from the senses; there is nothing in the mind that we have not already experienced through the senses. Empiricism was first put forward by the ancient Greek philosopher, Aristotle. 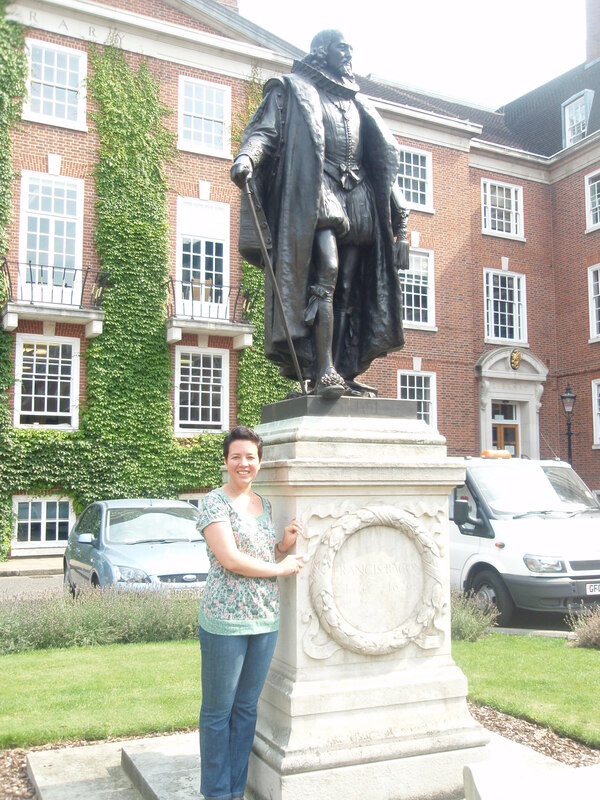 Francis and I in Gray’s Inn Square. 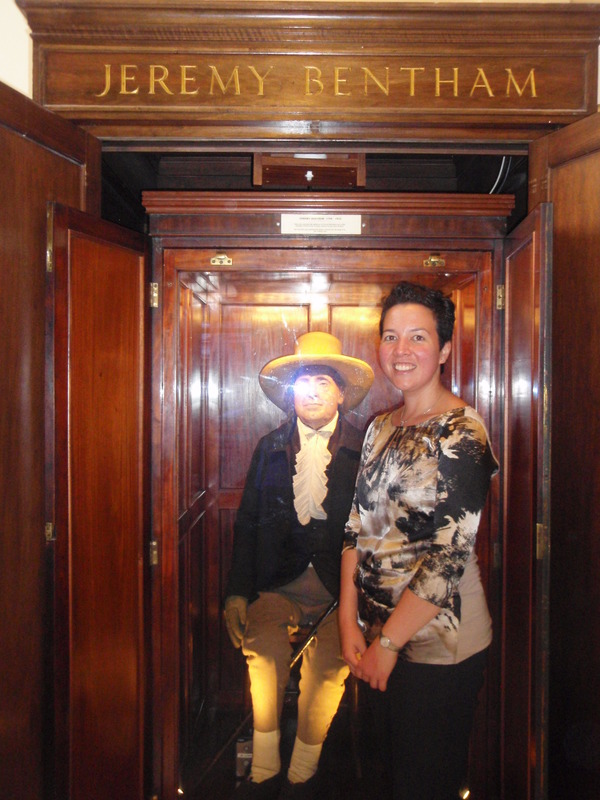 Visiting Francis spurred me on to visit another great English philosopher, Jeremy Bentham, the founder of the ‘Greatest Happiness Principle’, otherwise known as utilitarianism. In short, this principle states that the morally right act is one which maximises the total amount of pleasure to all who are affected by the act (“the greatest good for the greatest number”). He qualified as a barrister but decided that his calling was in leading social and legal reform, rather than in practising the law. Thus he was a lawyer, a reformer and a philosopher: a polymath. I felt honoured to meet the great man himself. That is really him: the skeleton, the clothes, the hair. His head is a wax model since the embalming of it did not turn out so well, so it’s a bit gruesome to look at. 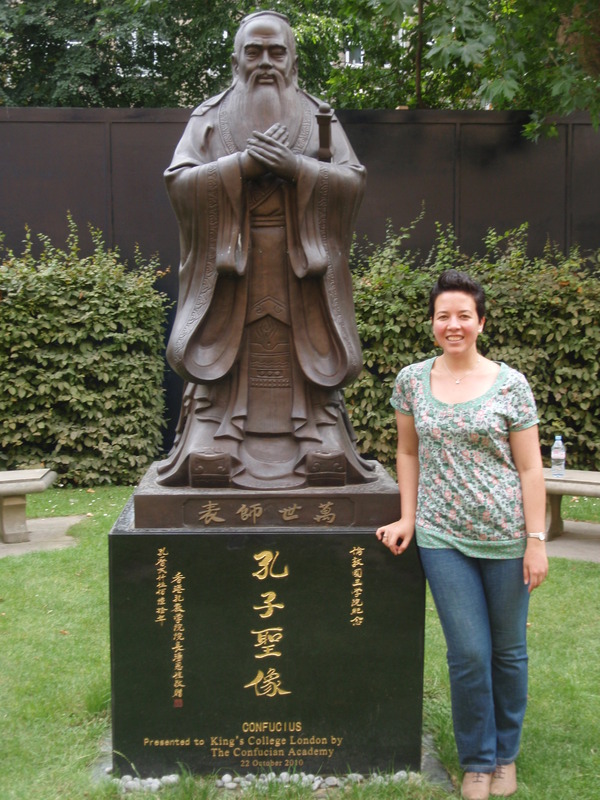 My next stop was King’s College London, where I stood beside Confucius. Confucius was a teacher, politician, editor and philosopher. I am not so familiar yet with his teachings, but he is arguably a polymath. 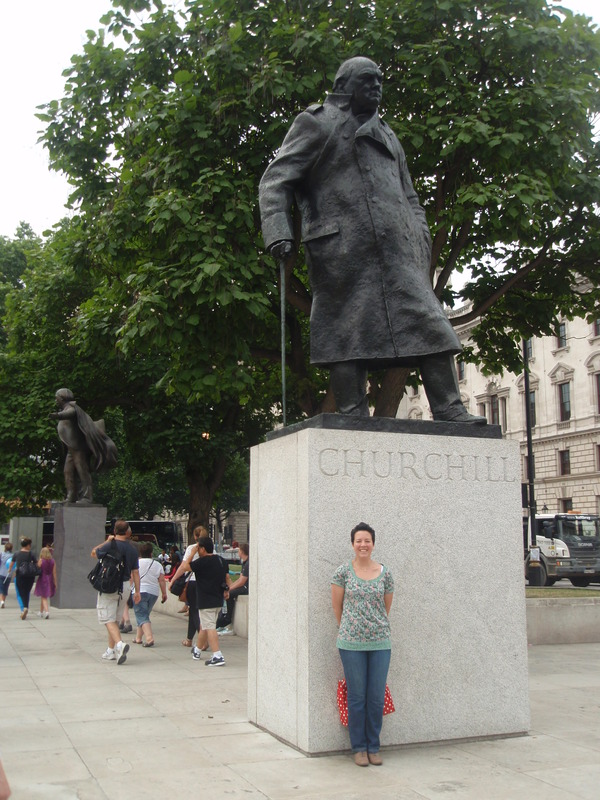 Finally, I stopped at Parliament Square in Westminster, where I stood by two inspirational leaders, Winston Churchill and Nelson Mandela. As well as being a courageous war-time Prime Minister, in his lifetime Churchill was an artist, historian and writer. Alas, Nelson Mandela would probably not have been considered a polymath; not that it matters in his case since he has lead such an extraordinary life. Just before my London trip, I read a book about early Islamic civilisation: that during the Middle Ages, Islamic science and philosophy in the East was thriving whilst Western civilisation had appeared to come to a standstill. What amazed me about this book was how many Islamic innovators, scientists, mathematicians and philosophers were polymaths. As the book’s author Ehsan Masood notes, they switched effortlessly from science to philosophy to poetry. The original polymath was Al Kindi – known as the ‘Philosopher of the Arabs’ – who was a mathematician, physician, musician and of course, a philosopher. Learning about all these polymaths lead me to this conclusion: that being one is a good thing. However, where are they in today’s world? We have been primed to such an extent to be specialists that we forget that the greatest pioneers of Western and Eastern civilisations were those that loved doing different things, and not just doing things differently. Why don’t we seek knowledge in different areas, enjoy the variety and complexity this world has to offer and see what we can create out of it? Being or trying to be a polymath opens the mind; the senses; and the faculties to the endless perspectives of this world and undoubtedly, it extends our creativity. 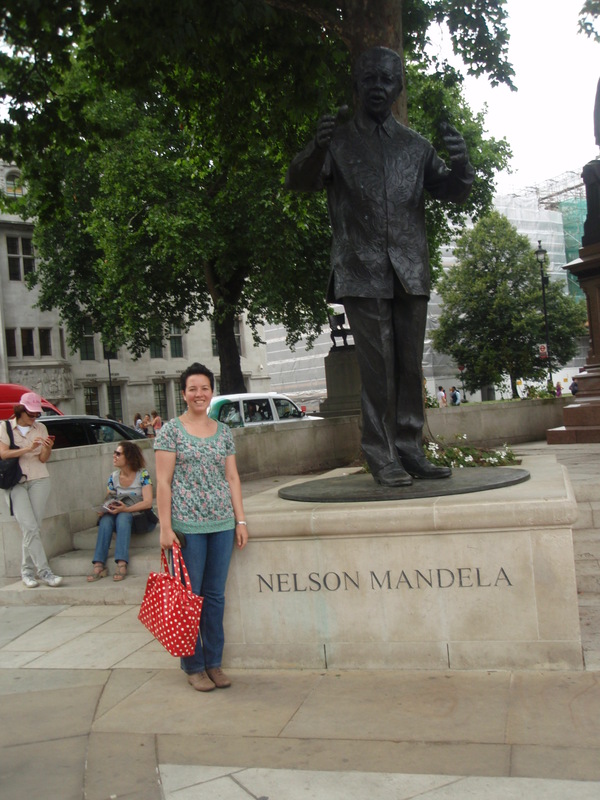 My London trip assured me that my varied interests are invaluable and that I should never stop seeking knowledge. As Prophet Muhammed once said, “Even if you must go all the way to China, seek knowledge.” On this trip I didn’t quite go that far, but I feel like I am on my way. I would love to hear your thoughts – are you a polymath? Do you think they are becoming extinct? Do you think it’s good for society to be one? One of my favourite articles about Ramadan first appeared in The Jerusalem Post back in July 2011 and later in his blog, the Chronikler. It is written by a Belgian-Egyptian journalist named Khaled Diab. I love this article because he writes about the wonderful events that happen during Ramadan: the feasting; the celebrating; the entertainment. He also writes about the similarities of fasting in the Abrahamic faiths and accounts a story of the Jewish man that does Ramadan. What I love most about this article is that it makes me think about what Ramadan means to me. I began fasting in my early teens. I am pretty good at observing the fast but to this day I am yet to fast the full month. I found some years easier than others, and usually this was when Ramadan fell in the winter months! Now Ramadan falls during the long, lazy days of summer, to my dismay. When I was younger, Ramadan was more was about the excitement of eating delicious food before sunrise (suhoor) and during break-fast at sun-down (iftar). Each morning, my Dad would get my brother and I up. We would come down bleary-eyed and lethargic. But as soon as I saw the food on the table: the cakes, the rice and curry, I instantly became alert with excitement at the thought of devouring everything. I often left the table with a rotund belly, feeling like lead. Iftar was pretty much the same. No wonder I didn’t lose any weight! In more recent years, I have used the abundance of free time (it is amazing how much time we spend eating or dreaming about what we are going to eat) reflecting on the significance of Ramadan. It is a time for giving up: not just the food, but the ill-thoughts; the material things; the small things. It is a time for thinking about those less fortunate than us, and a time for taking action: serving others; treating people well; spending time with one-another. When it came to eating at suhoor and breaking fast, the food had lost some of its charm. I discovered that I could live very well on much less, and I don’t just mean food-wise, but materially too. I seemed to have more energy and I had this very strong feeling of well-being. It is a strange feeling: like a warm glow engulfs your body from the inside. I felt pure. I find doing Ramadan hard on my own. One of the reasons why I enjoyed it with my brother and my Dad was that we were doing it together. At suhoor, we would talk about different things, and Dad would usually teach us something new about the Qur’an or the teachings of Prophet Muhammed. During the day, we would encourage one another to keep going. Iftar was always really special because Dad would have the dates out on the table, Mum the cups of tea, whilst I would be counting down the time. Taking the first sip of tea or the first bite of a date was absolutely glorious. When Ramadan was over, I tried my best to maintain the good examples that had been set during it. Unfortunately, I could never sustain them to the same degree. Fortunately, doing Ramadan has taught me one last lesson: that these wonderful actions and moments of sharing and giving should not just be confined to one month, and not just confined to one faith; but to all, and every day. I wish you all a “Ramadan kareem”.